Are you currently a pilates teacher wanting to develop your skills in classical pilates? Or are you a personal trainer wanting to extend your repertoire? Or a pilates client looking to become a teacher? Chantal O’Connor is a passionate Master classical pilates trainer and studio owner. Chantal trained with the wonderful pilates guru Tina Ball for 17 years, and in 2017 bought Tina's classical education programme. Chantal is honoured to take on the programme through Dynamic Pilates. 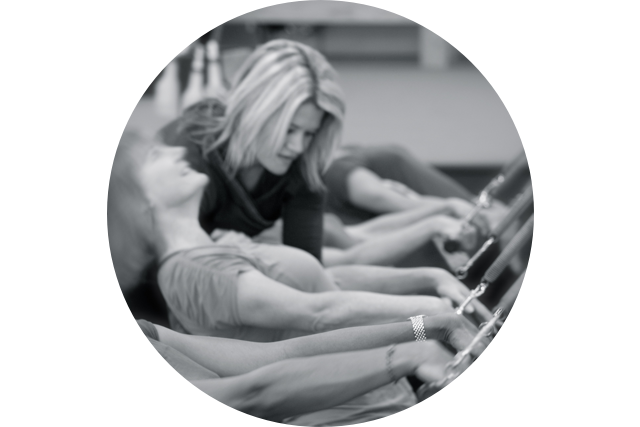 Chantal is offering classical pilates teacher certification in mat, reformer, and specialist accessories. Dynamic Pilates offers a modular approach, allowing you to progress and extend your existing learning at your own pace. 2. competency in teaching dynamic and effective group mat classes in a variety of settings suitable to participants of all ages and fitness levels. All clients must initially complete the Introduction to pilates course. This is an integrated course designed to teach you pilates principles, fundamentals and introductory exercises on the mat and reformer. Beginner mat focuses on teaching the beginner exercises with the use of building blocks as well as effective cueing, and communication coaching skills. Intermediate mat builds on the previous beginner mat level and layers in the intermediate mat exercises, movement patterns, corrective cueing strategies and techniques. First level of certification. In Advanced mat you will learn to teach the full mat repertoire in the classical system. Final specialist mat certification. You can specialise in mat instructor certification only. Or you can focus on reformer. Or you can complete a certification in mat and reformer. Specialist accessory workshops and/or certification (cadillac, spine corrector and small barrels, chair, ladder barrel) is also offered. The ultimate classical pilates all-rounder would obtain the comprehensive certification (mat, reformer and accessory). Spaces are limited so to secure your place in the module, a 20% deposit is required. Please do not book accommodation or transport (flights etc) until we confirm the course/workshop with you as the above timetable is indicative only. If you haven't done any pilates teacher training in mat, and you would like to do reformer training only, you should ideally complete the Introduction to Mat course first. This is one day only of the Intro & Beginner Mat module. This familiarises you with the classical pilates orders, pilates teaching language, key concepts and teaching methodology. To attend the cadillac workshops, you need to have completed some reformer training, either classical or any other style. On the cadillac workshops, you learn exercises to do on a cadillac for rehab and privates. You also learn how to put these exercises into a group session which is where you could incorporate mat exercises with the cadillac exercises, which creates a Tower class. To attend the floor workshops, you need to have been trained in any style of pilates but we teach this workshop using classical pilates mat level orders. Intermediate level is advised. No logging hours or examinations are required for cadillac and floor workshops. Certification is granted on attendance. Full mat certification (Introduction to pilates plus beginner, intermediate and advanced mat)*: $2,499 (a saving of almost $300). Full reformer certification (Introduction to pilates plus beginner and intermediate mat, plus beginner, intermediate and advanced Reformer)*: $4,199 (a saving of almost $200). *Does not include Anatomy and Physiology. Contact us now if you wish to discuss further.